There is little doubt that Battlefield 1 is one of the year’s most anticipated games. This is in part due to the fact that developer DICE took a risk with the game and decided to set Battlefield 1 during World War I, foregoing the sci-fi settings of competitors like Call of Duty: Infinite Warfare. And it seems that such a move has paid off as interest in Battlefield 1 is sky-high, and this military shooter game is clearly on many players wish lists this year. Swedish developer DICE was also behind last year’s hit Star Wars Battlefront, a game that was criticized by many due to its lack of a single player campaign, even if the multiplayer was still ace, though. Battlefield 1, unlike DICE’s earlier game, will feature a single player campaign though, and one that looks like it will be one of the star attractions of the game and not just a side diversion. According to a recent blog post by DICE, the game’s single player campaign will feature several characters, offering several mini-campaigns set in different geographical areas and moments of World War I. But the most interesting thing is how these campaigns will play out. This is because DICE is aiming to make the single player experience of Battlefield 1 similar to the multiplayer, in the sense that players will have multiple options available to them in missions and will also have to resort to improvisation when things go pear-shaped. According to DICE, “we’re embracing systemic gameplay and the freedom that makes Battlefield the high-agency game that it is”. An example is the “Through Mud and Blood” story, in which players assume the role of British recruit Danny Edwards who will need to learn how to drive a Mark V tank fast before an assault on the French town of Cambrais. In one of this story’s missions titled “The Fog of War” players will have to scout the terrain on foot dealing with enemy camps, and have multiple ways of going about this. For instance, it is possible to resort to melee attacks or blow up the enemies’ anti-tank weapons, and even take control of an enemy tank at some point in the mission. And this variety makes single player missions in Battlefield 1 play out similarly to multiplayer matches, adding to the excitement and making the campaign an even more engaging experience. 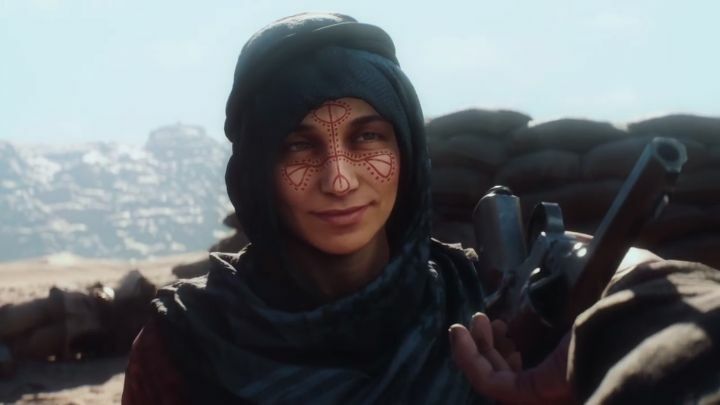 Also, the campaign will feature historical characters like the Red Baron, the infamous German biplane ace who caused quite a bit of grief for enemy pilots in the war, and also the likes of Bedouin freedom fighter Lawrence of Arabia will appear in Battlefield 1’s single player mode for that authentic World War I feel. Of course, it’s too early to tell whether the story and characters of the single player campaign will be engaging enough, or if the missions will be entertaining enough to draw players away from the multiplayer, but Battlefield 1’s single player campaign is still looking like it could be one of the year’s best when the game ships this fall.